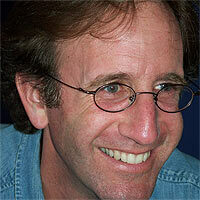 Tal Skloot has worked on numerous feature films and Emmy award winning documentaries as a producer and editor. His credits include Orion Pictures, LucasFilm Ltd., Warner Brothers, 20th Century Fox, PBS, KQED, Frontline, Pulse Films, Zala Films, David Brown Productions and The National Endowment For The Arts. Tal received his B.A. in classical music performance from U.C. Santa Cruz and is a graduate of the American Film Institute in Los Angeles. He is an adjunct faculty member in the Diablo Valley College film department.